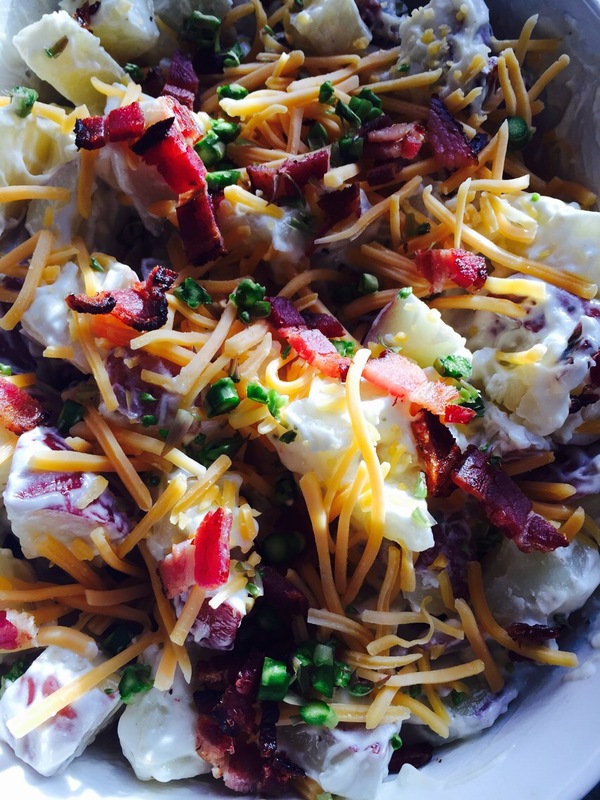 I can’t get enough of this easy and flavorful potato salad! I’ve been making this one for years but it’s even better these days with the addition of our farm fresh, thick cut bacon!! I’m over winter. I can’t stop thinking about warmer days, new livestock, new gardens… New life. After a few days of balmy temps…you’d consider 52 balmy, right? I was determined to whip up a lighter faire, and be done with the hot soups and winter casseroles… Something that says spring is here! Is there anything better than burgers, dogs and potato salad!!? Mmm mmm Summer livin! This salad is so easy to make and packed with steakhouse flavor! 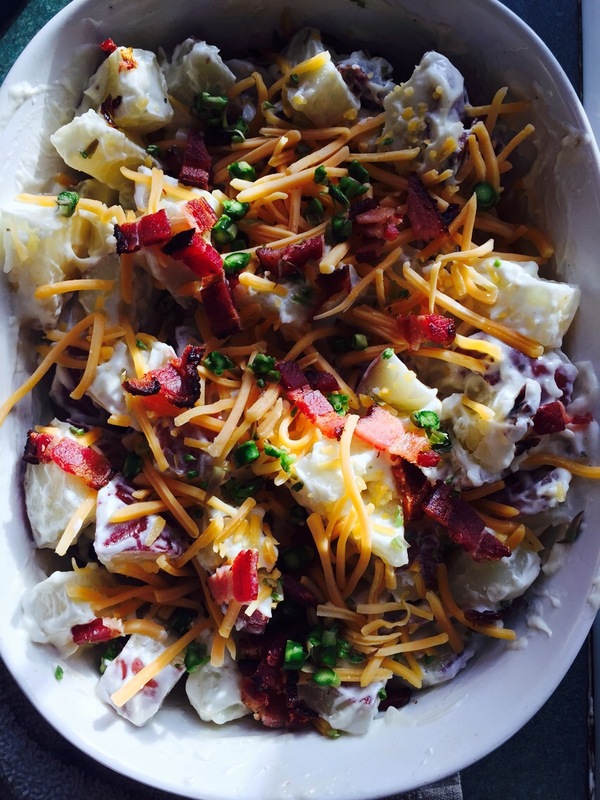 It’s like a cool refreshing version of a baked potato bar all mixed up and delicious! Cook the potatoes in salted boiling water until fork tender. Drain and rinse the potatoes under cold water and transfer to a mixing bowl. Reserving half of the cheese and green onion for garnish, mix together all ingredients. Garnish, cover and chill for at least two hours before serving. Potato salad always gets better with time. You want the potatoes to soak up all that extra flavor! This is the perfect side dish for any BBQ or if you just need a little taste of summer! ← Garden Tips and Tricks! This one is such a great find!! !